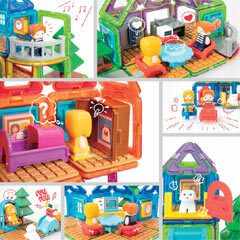 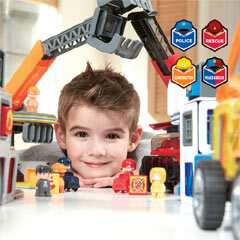 Welcome to the magic world of Magformers! 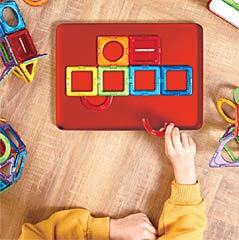 A magnet has a positive and negative pole. The opposite poles of the magnet attract each other while the same poles of the magnet repel each other. 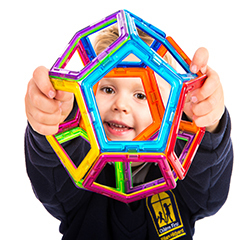 The neodymium magnets which are encapsulated within all the edge surfaces of Magformers make Magformers rotate to any direction and connect each other regardless of their position when two Magformers are brought together. 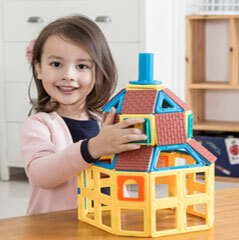 Children can make 2D flat ‘net’ shapes then transform them into exciting 3D geometric structures while they are playing, naturally recognising the principles of magnets by feeling the magnetic power. 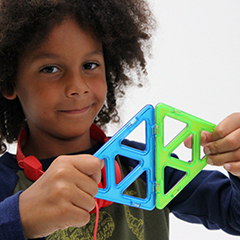 Magformers structures are always super-easy to assemble, take apart, then build again – and clean away. 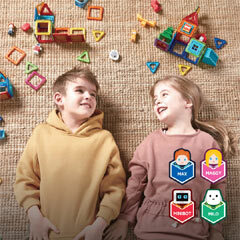 Internationally, Magformers has received more than 50 global educational and toy awards, including a Gold and Bronze medal in the UK Practical Pre-School Awards.